I am a contractor working in The Midwest Club. Are there special hours that I’m allowed to work? Contractors are allowed on the property from Monday through Friday, 7:00 AM to 7:30 PM, and on Saturdays, 7:00 AM to 5:30 PM. Contractors are not allowed on the premises on Sundays or Holidays, no exceptions. I want to buy a home in the Midwest Club, how can I get a list of homes for sale? The Midwest Club Management Office does not keep a list of homes for sale. However you may go to www.realtor.com for all the current Midwest Club listings. I want to visit The Midwest Club, what do I need to know? The Midwest Club is a secured, gated community. 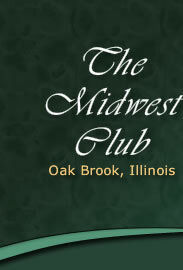 If you would like to tour the Midwest Club please contact The Midwest Club Management Office at 630-655-9002. What are the The Midwest Club Management office hours? The Midwest Club Manage Office is open Monday through Friday, 8:30 AM to 4:30 PM.